In order to popularize bonsai art, let the bonsai amateur to improve their skill,TianBonsai was introduce the beginner bonsai tools. About the beginner bonsai tools, it's function is same as the main trend bonsai tools and the quality is very nice also,certainly,order to down their price, the body of beginner bonsai tools be made by the intermediate technician, but the major function part were still made by the master craftsman from TianBonsai, E.G the cutter edge, so even be the beginner tools, you still can getting the nice user experienced when you use them. Material is Carbon Steel, handmade by skilled worker from TianBonsai. 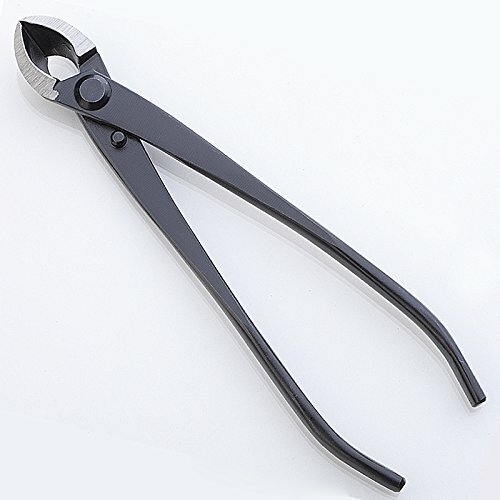 Please choosing our tools safely, we offer the best Sales service. Normal usage within one year if the product is not up to standard, to ensure replacement, if your tools damaged by normal used, you just need to take a photo to us, a new item will immediately send to you without any expenses. The body of beginner bonsai tools be made by the intermediate technician, but the major function part were still made by the master craftsman from TianBonsai, E.G the cutter edge, so even be the beginner tools, you still can getting the nice user experienced when you use them. If you have any questions about this product by Beginner Bonsai Tools (Standard Level), contact us by completing and submitting the form below. If you are looking for a specif part number, please include it with your message.